Prescription drugs can help patients find relief from a wide variety of illnesses. The assumption is often made that a pharmaceutical drug, when prescribed, is safe for use. However, this is not always the case. In fact, the U.S. Food and Drug Administration (FDA) receives over 100,000 reports each year related to potential medication errors. Errors committed by medical and pharmaceutical professionals can have life-altering effects on patients. Prescription drugs often include a range of potential side effects. Pharmaceutical companies have a responsibility to ensure their products are safe to use. In addition, doctors have a responsibility to let their patients know about any proven or potential side effects with a particular drug. They also have a responsibility to make a careful and informed decision about which pharmaceutical drugs, if any, to prescribe a patient. Unlisted dangers or risks. If your medication is dangerous or leads to harmful, undisclosed side effects, you may be entitled to damages for your injuries. Improper prescription. Your doctor may be held liable for negligence if he or she prescribed the wrong drug in error, prescribed the incorrect dosage, or misinformed you regarding the drug’s potential side effects. Improper refill. This can happen if the pharmacist gives you the wrong medication, or improperly fills your prescription. Pharmacist or doctor: who is liable? If you are given a “bad” prescription, and the drug is not dangerous (nor the manufacturer to blame), the liability may fall with the doctor or the pharmacist. Both have a legal responsibility to fully understand any potential side effects or risks associated with a prescribed medication. Both should also be able to spot any potential problems you might have with a medication, based on the drugs you are currently taking, or on your medical history. Finally, both the doctor and the pharmacist are part of a system designed to ensure that you are given the proper medication. If your doctor handwrites a prescription for you, the pharmacist should double-check with the doctor if there are any questions. The same is true when it comes to dosage amounts. What about filing a legal claim against the FDA? Since the Food & Drug Administration (FDA) was created, many dangerous drugs have entered the marketplace and caused severe health problems, and even death, for patients. However, the FDA is a government agency, and as such, has “sovereign immunity.” This means that, under federal law, the FDA cannot be sued. 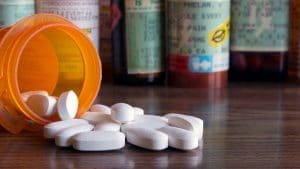 However, you may have the right to hold other parties responsible for any injury and suffering you have experienced due to a prescription drug error. At Harris Lowry Manton LLP, we understand the devastation a prescription drug error can cause for you, both physically and financially. Our team is determined to help hold those accountable who are responsible for your suffering. We fight vigorously for the compensation you deserve. To get the process started with a free consultation, call our Georgia medication error attorneys at one of our convenient office locations – 404.998.8847 in Atlanta, or 912.417.3774 in Savannah. Or, use our contact form to send us a request.